This year, the Petroleum Packaging Council Spring Meeting and Tradeshow is taking place on March 4-6 in Tampa, FL. The Petroleum Packaging Council (PPC) is an association providing technical leadership and education to the petroleum packaging and blending industry. For six decades, the PPC has served petroleum packaging professionals exclusively as their premiere technical trade association. As a member of the PPC, Scholle IPN will be attending this Spring’s quarterly meeting and tradeshow, as it has done for many years. On Monday evening, March 5th, you will find Scholle at table #20 displaying their various automotive fluid packaging products. Why does Scholle IPN attend PPC? Scholle IPN, a global leader in flexible packaging solutions, recently passed a major production milestone for our flexible bag-in-box package for automotive oil. 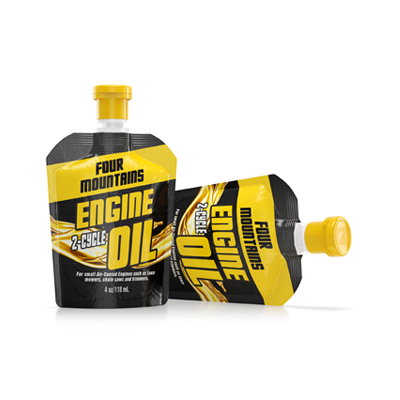 Since the product’s inception in 2008, we have delivered over 25,000,000 of the award-winning packages to market; primarily bound for quick lube outlets and other institutional businesses where oil changes are a service offering. Our success in the automotive fluid market makes this tradeshow a perfect fit as it provides a great opportunity to both renew existing partnerships and relationships in the industry, as well as facilitate new conversations with companies who are looking to find flexible packaging solutions for their oil and automotive products. What can attendees expect to find at your table? Scholle IPN will be displaying our 6-gallon bag-in-box package that dispenses via a tap, which is perfect for both synthetic and premium oils. We will be showcasing packaging solutions for automotive oil, 2-cycle engine oil and other specialty automotive fluids. Along with bag-in-box solutions, Scholle IPN will also be showing various pouch packaging products. Browse our product library to see Scholle IPN’s end-to-end solutions or contact us with your questions or specific business needs!